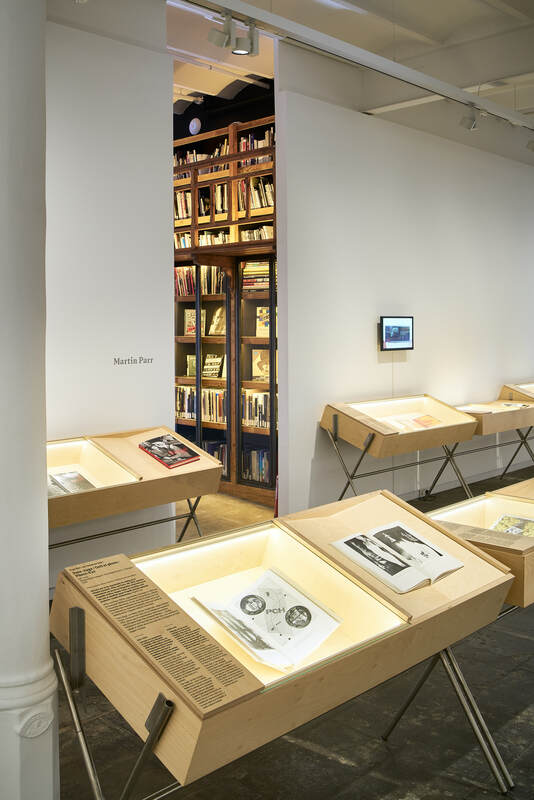 Photobook Phenomenon is an exhibition which brings together more than 500 photobooks from around the world and reclaims the place of photobooks in contemporary visual culture, while proposing a reinterpretation of the history of photography throughout photobooks and printed photography. 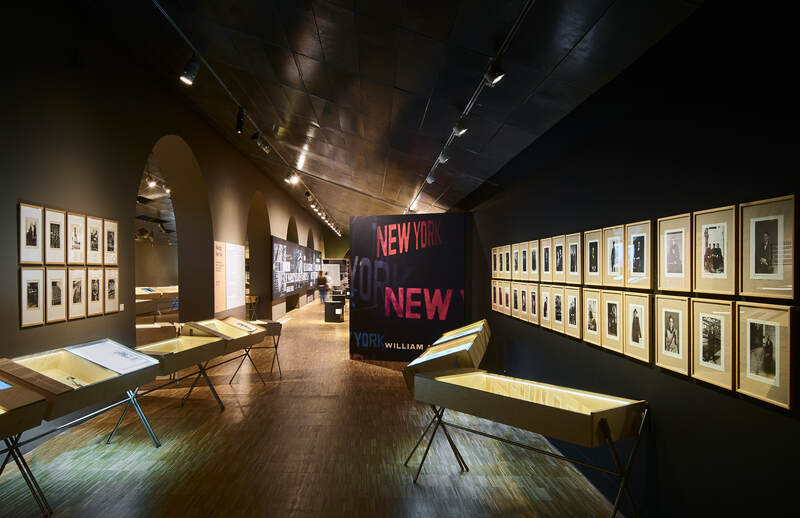 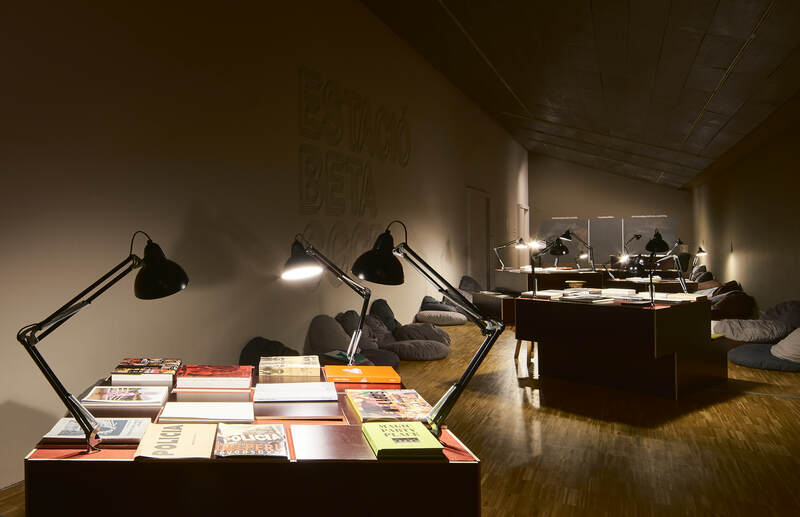 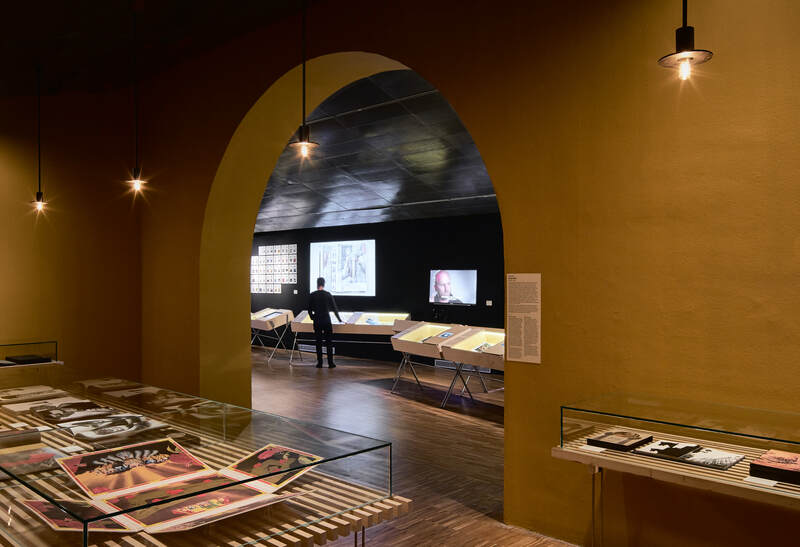 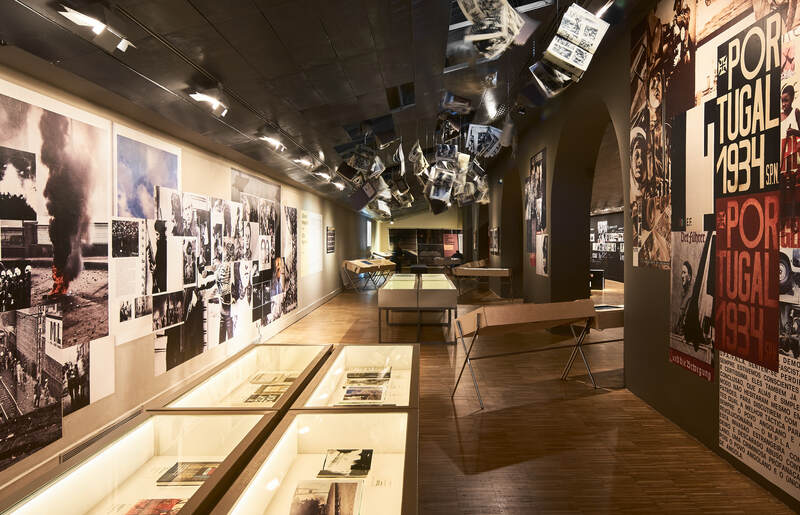 The exhibition is developed in 8 chapters and two locations: CCCB (Centre de Cultura Contemporània de Barcelona) and the new headquarters of Fundació Foto Colectània. 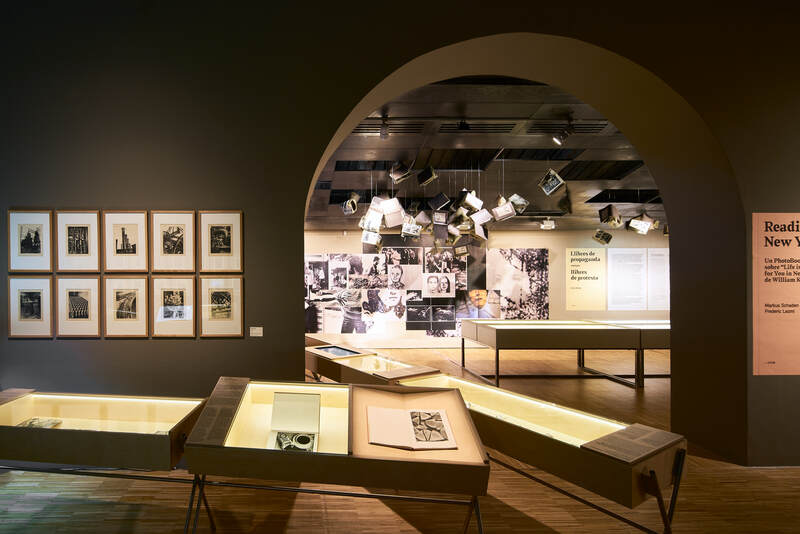 A single project: curatorship and exhibition design. 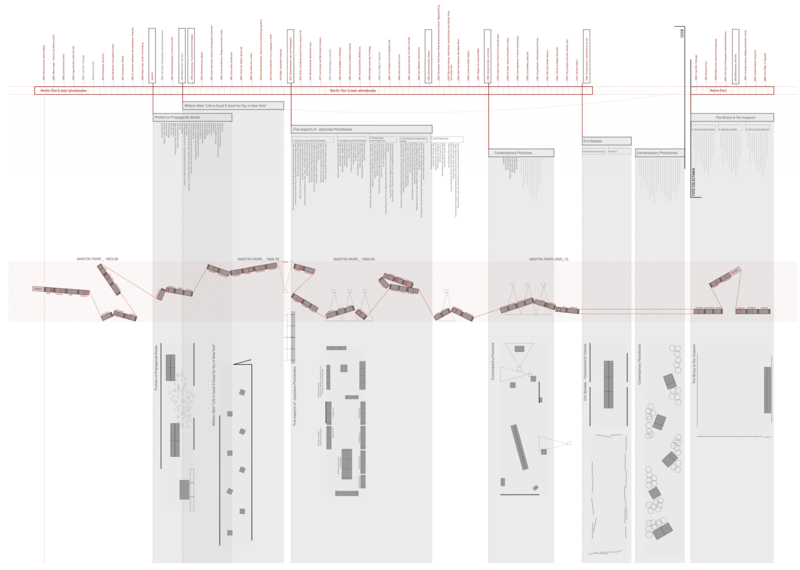 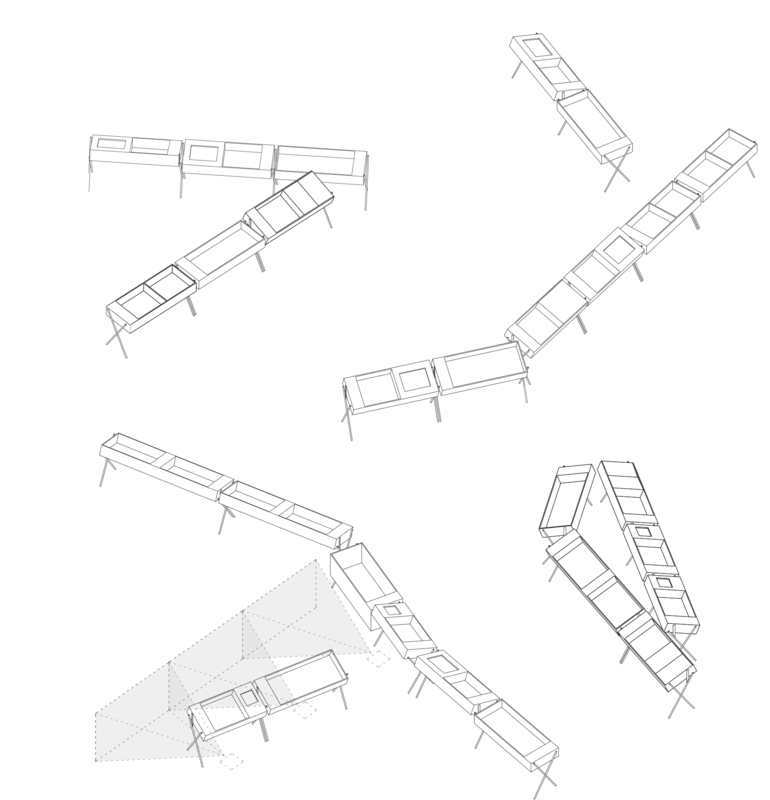 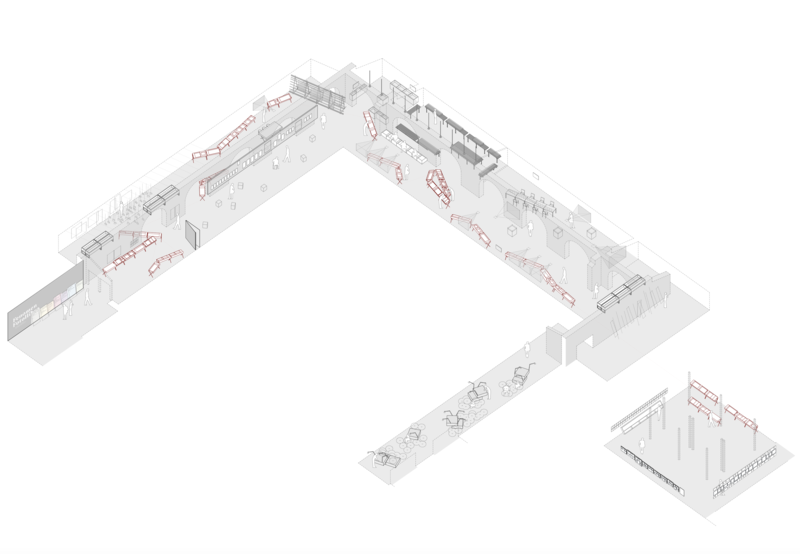 Curatorship tasks and spatial design go hand in hand and both build an exhibition whole. 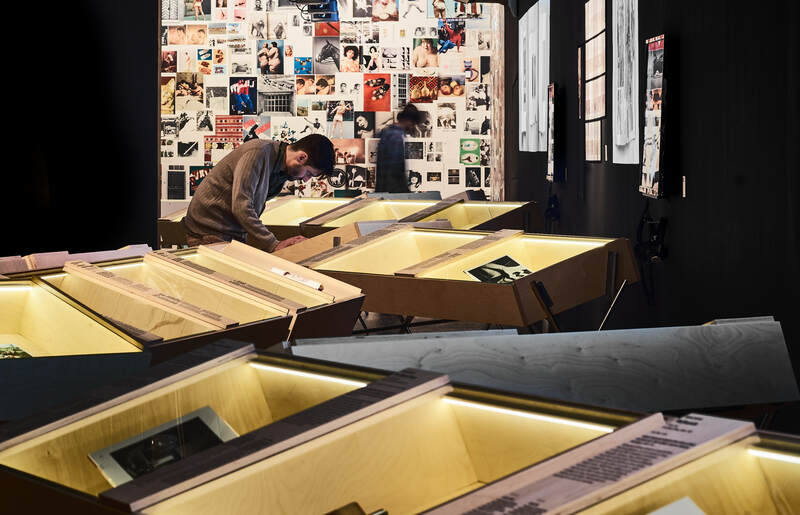 Therefore, the chronological selection of Martin Parr becomes the backbone of the exhibition, and developed as a journey through the space, connects the different chapters curated by: Martin Parr, Gerry Badger, Markus Schaden & Frederic Lezmi, Ryuichi Kaneko, Erik Kessels, Horacio Fernández, Irene de Mendoza and Moritz Neumüller. 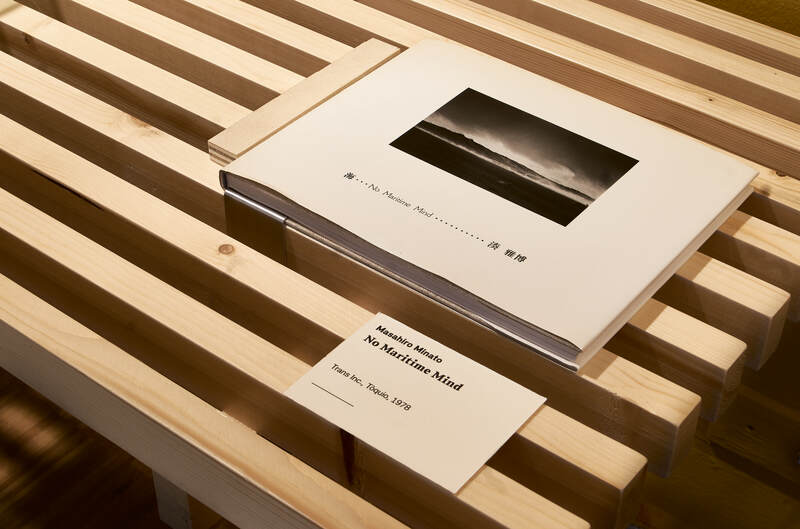 Immersing oneself, getting lost and discovering printed photography. 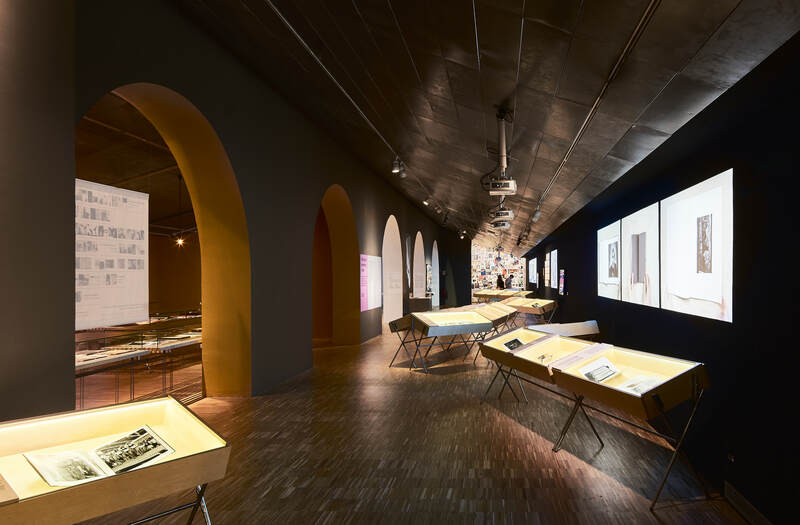 This is one of the goals of the exhibition design: offering an overall picture of the phenomenon, and at the same time, leaving room for precision and the individual discovery of the visitor. 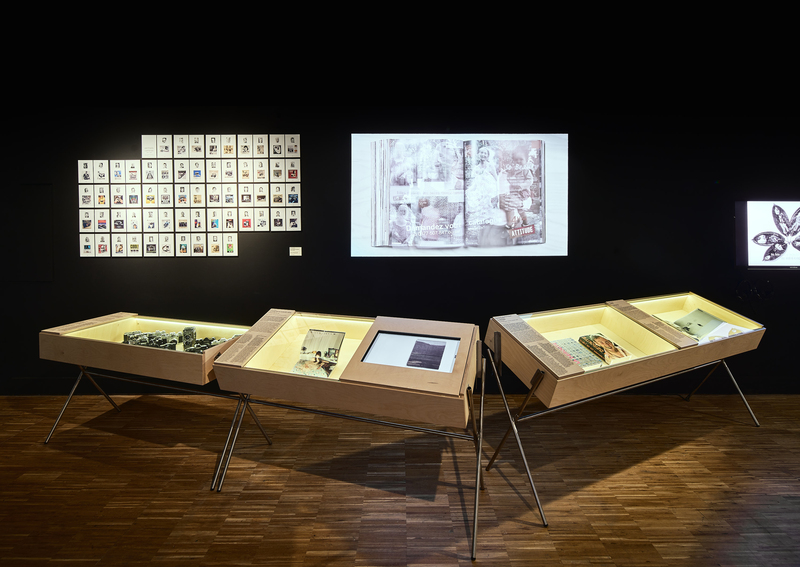 This exhibition overcomes a basic question: ‘how to show the content of photobooks (objects specifically designed to be manipulated) without letting visitors to touch and consult them?’ This forces to define an approaching strategy, to assure that the visitor enjoys the exhibition’s content. 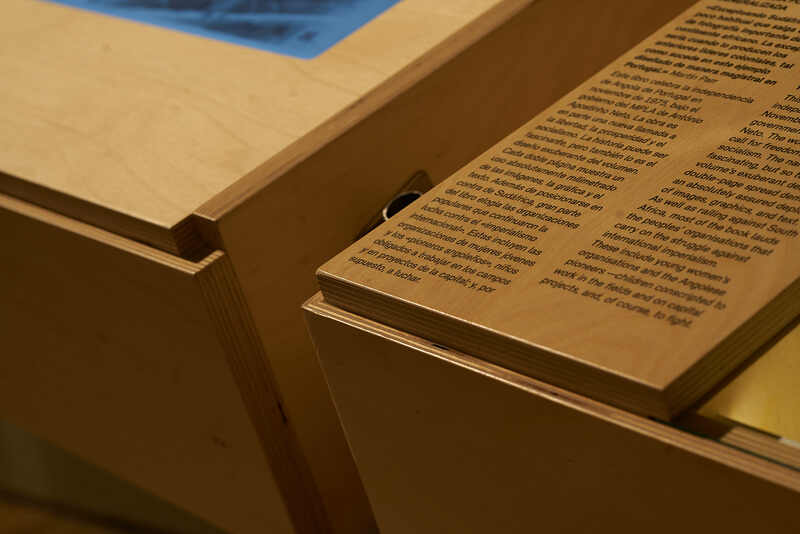 Different solutions are provided, including facsimile copies or second editions, video depictions of book’s content, or interactive screens to manage the journey through the book. 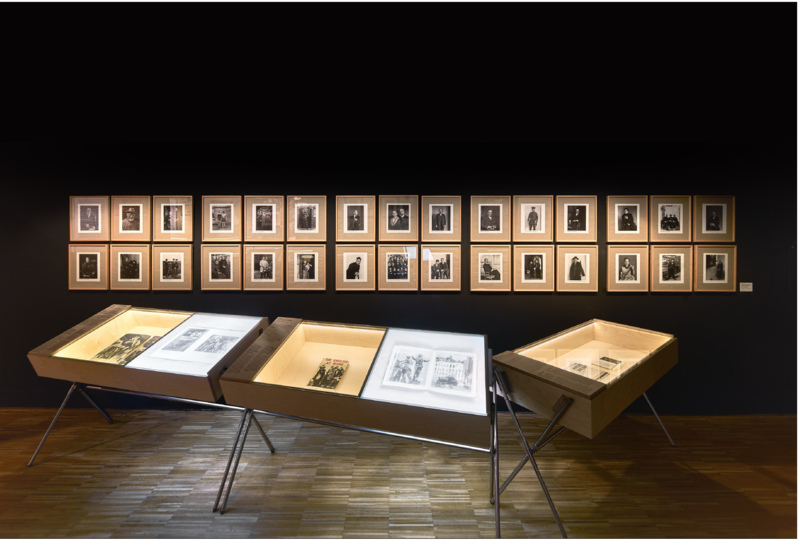 The systematisation allows the natural aggregation of display cabinets, and thanks to changes regarding inclination and orientation, enables to build a landscape of printed photography. 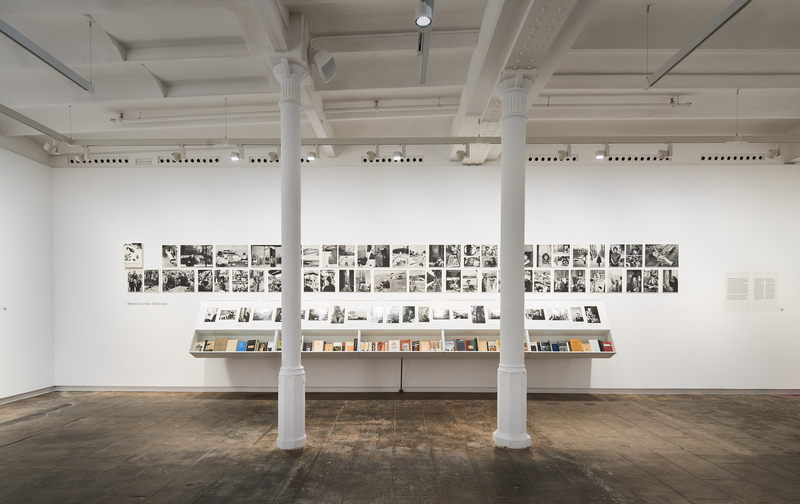 At the same time, this aggregating system links spaces and accompanies all itineraries, achieving a spatial continuity that emphasises the curator’s intention to provide a global view of the photobook.